So that's the coolest thing ever. Our ride is offically pimped. Who needs DVD players, on-board wireless internet and 22-inch rims? Just give me a red paperclip toting eagle and I'm straight. Dom picked me up last night with a smile on her face and a camera in her hand. She had a surprise. Needless to say, I was pretty darn happy. Two years ago, I knew there was a reason I shopped around at every used auto parts place in Montreal but could only find a white hood. I just knew it. Big thanks to Vero and Myriam for making a dream come true. The talons are unbelievable. I dare you to try and pry the red paperclip out of it's clasp. I also got a heaping load of 1 inch pins in the mail along with inflatable party sticks! 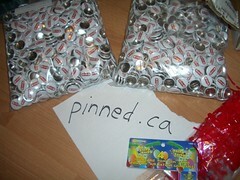 So that's what 2000 one inch buttons and party sticks looks like. If you're a 1 inch pin fanatic, then swing on over to pinned.ca and Colin Prentice will sort you out. 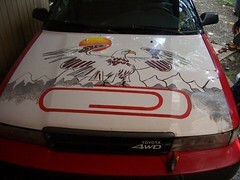 Party sticks and a hood with red paperclip-toting eagle? Labour day weekend in Kipling is gonna rule so hard. This hood decord couldn't be more on track with the life lived by Kyle if they tried. What on Earth is an inflatable party stick? i have started a blog to make Eliff marry me. 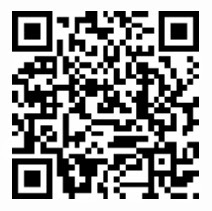 please check my blog and somehow support it. may be just givin' a link or putting a small banner. or add a photo to our flickr group. Wow... you've definitely gone a long, long way. :) I wonder what's next.